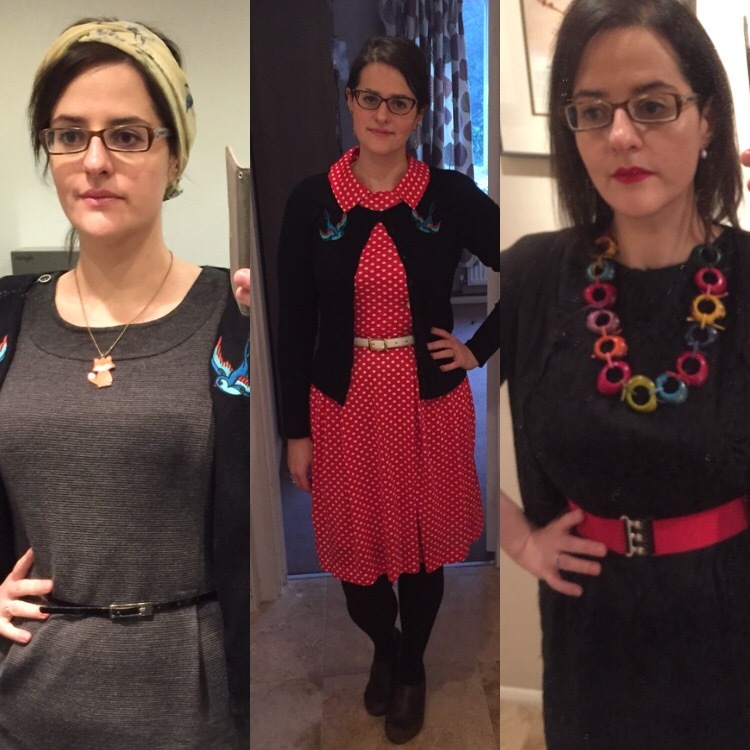 At the beginning of last year, I had no items of vintage clothing, and I didn’t think I ever would. One of my best friends in the world is a massive vintage hound, and she came over to visit over that Christmas and New Year; still I wasn’t entirely convinced vintage was for me. Wasn’t it all a bit… difficult? And only really for thin people? (Even though my friend and I are similar sizes, we’re different shapes). As you might imagine, it turns out I knew absolutely nothing. I suspect the first point was sheer second-hand snobbery and can thoroughly be avoided simply by shopping from trusted sellers; the last point applies just as much to modern clothing if you pick a style that doesn’t suit. The second point simply isn’t true (I now have a number of cotton items that prove otherwise, though you will likely have to do more hand washing to preserve more delicate garments) and the third point… well, the third point bears some proper examination. Because it’s both true and nonsense. The true part is that the assumed body shape for clothing does change over time, and anything pre-1990s is largely different from what you’d find on the high street today – other than in reproduction specialists like Collectif or Vivien of Holloway. 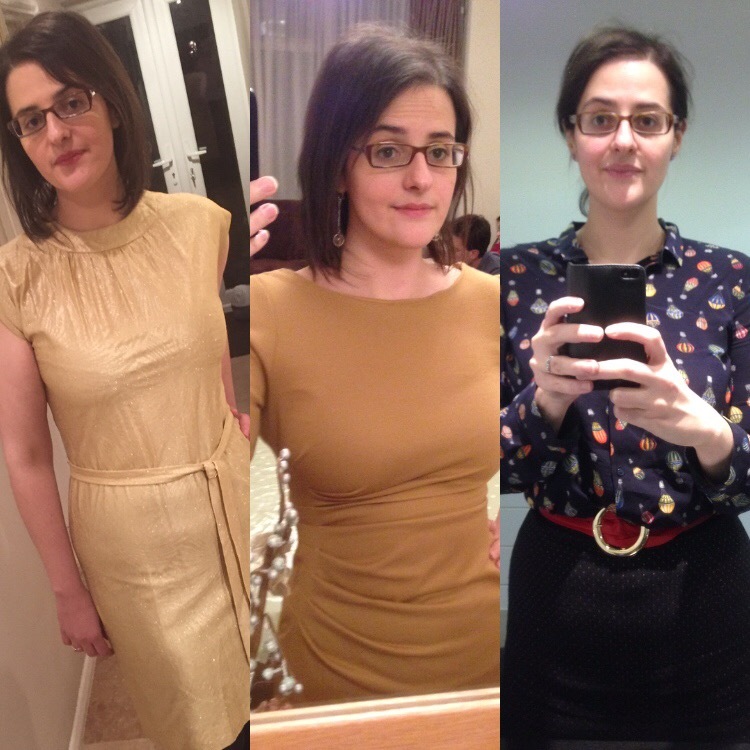 My areas of interest – broadly speaking mid-40s to mid-60s – see plenty of variation even across 30 years, but one thing that does stand out is that where dress shapes are fitted (in 50s wiggle dresses, for example) the differences between bust, waist and hip measurements tend to be bigger than you might find now. I frequently come across dresses that are around the 40-30-40 mark (my current measurements being 39-29-39) which does assume a considerable hourglass. However, assuming that means that the right shape for you doesn’t exist would be a mistake; just taking a look through some of the key styles within a single decade should indicate that it’s more a question of finding your style than assuming ‘vintage doesn’t fit’. Also, while I tend to be cautious about radically changing the size or shape of a garment and prefer to set it free for a woman who does fit it perfectly, small, sensitive alterations to let out a waist or tuck in a hip – particularly if they’re done in a way that can be reversed – are perfectly possible. The other point to raise it that yes, people tended towards smaller sizes. These days I’m a size 12-14 in most stores, but in vintage and repro I could be anything from a 14 to an 18. On the whole, I would assume you’ll need to go up at least one dress size in numbers, because sizes were classified differently and bodies have, taking the whole population into account, got a bit bigger. But – and this is, if you’ll forgive the pun, a sizeable but – that’s largely irrelevant, because you never shop for vintage by dress size. Here’s the thing: before you set foot in a single vintage store or browse a single online swap-and-sell group, you need to get familiar with your measurements. At minimum you need to know your bust size (over bra), your waist (literally the smallest part / natural waist) and your hips. And then when you look at individual pieces, you need to allow for breathing space, depending on the fabric. For example, a foxy 60s lurex dress could probably be bang on measurements, but a tightly tailored number in a non-stretch fabric like taffeta probably needs up to 2″ breathing space or you won’t be able to sit down or eat. But do also ask questions; one of my wool suits has a nipped in 30″ waist, but 1.5″ of fabric excess where the button is placed – so had it felt too tight, I could have given myself a better fit in ten minutes with a needle and thread. I’m no seamstress, but even I can move a button. Also, some fabrics are very forgiving, and a good seller will both go the extra mile in giving you detailed measurements and carefully describe the stretch and texture of the fabric. Tip: Many vintage sellers give measurements by lying the item flat out and measuring across. So if you’re a 32″ waist, you want to look out for 16″ measurements, or at least 15.5″ with a bit of give. So, going back to the world of those of us who have some scars from navigating tiny high street sizes, does that mean that as someone with a waist size of 30″ or up, you’re screwed? I thought so, and I couldn’t have been more wrong. You will often find anything with a waist of 29″ or higher referred to as ‘volup’ – so yes, plus size generally starts at around a modern size 12-14. But there is plenty of it, particularly for women in modern sizes 12-18, who will be able to find beautiful pieces with 44″ or 46″ busts, 31″-35″ waists and more. It turns out that, just as now, though the thinner women might have been the ones in photographs, there were plenty of women of all shapes and sizes who left behind some truly beautiful items for a vintage-hunter to pounce on. Watch out for customs; many amazing vintage stores are in the US, and you will need to assume you’ll pay a customs and handling charge which is calculated based on the whole cost, including P&P, so make sure it’s worth it! Seek out friends who can recommend you to private groups – my aforementioned vintage-loving pal made me a member of a couple on Facebook and they’re great places to get lower prices and friendly, direct service. Haunt Etsy (a couple of my faves below but I’m also now building up a purchase list of UK based sellers and a wishlist for each of ‘my’ decades). Check out UK based specialists like Rokit. Don’t assume this means no repro or modern fashions or that you’ll be shunned for not going “true vintage” – dabblers are welcome and mixing and matching pieces is great. However, you might be eaten alive if you radically alter pieces or use the word “upcycling”; people in vintage communities are very, very passionate about the preservation of fashion history. Concetta’s Closet – I’ve only actually bought once from Dana because her massively high quality pieces mean they are generally out of my budget (with shipping from the US and customs factored in), though they are unquestionably fairly priced; it’s not her fault I don’t earn enough to indulge my habit! She offers really inspiring, beautiful looks, plus she’s a lovely woman who always has time to answer questions or interact on Facebook. And she does at least two big sales a year! Fab Gabs Vintage – similarly high quality, with regular sales and some stunning pieces; I’ve not yet splurged on a piece from Julie, but hope to one day not too far away. Her specialism is the 1940s and some of the pieces she finds – and the astonishingly good condition they’re in – make me want to cry. Dipping my toe in vintage waters has done nothing but improve my appearance, confidence and approach to dressing. It really has put a spring in my step in a way that – as someone who has a complex relationship with her body – I didn’t think I could really experience. So I highly recommend that you leave misconceptions at the door and get searching or rummaging; there’s a real rush to finding that perfect item. Though you will now spend the rest of your life cursing the high street for not selling everything by measurement. No disclosure needed as this is just my stuff, paid for by me, and things I like.